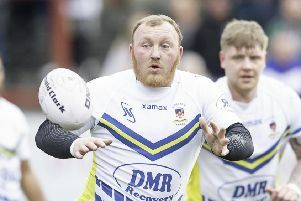 Danny Thomas kicked a drop goal four minutes from time to seal victory for Dewsbury Celtic. 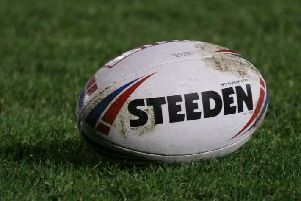 A Danny Thomas drop goal four minutes from full-time helped Dewsbury Celtic earn an impressive 17-16 victory away to Millom in National Conference Division Three last Saturday. Celtic led 10-6 at half-time before Millom fought back to lead 16-10 through tries by Jordan Moyes and Russ Brookes, the latter adding his second conversion having previously improved Tom Sibley’s first-half touchdown. Celtic levelled matters when Billy Yarrow crossed on 69 minutes and Charlie Heaton landed the goal. Danny Crabtree and Heaton had crossed for the visitors in the first half, Heaton improving his own score, before Thomas secured victory with his late drop goal. Celtic lie seventh in the table ahead of Saturday’s trip to fourth-placed Woolston Rovers. Dewsbury Moor are the only side in Division One without a point, after going down 32-4 to 100 per cent leaders Pilkington Recs. Moor offered far more resistance than the scoreline suggests and they went in front on 23 minutes, through Sam Thornton’s try. Pilkington led 6-4 at half-time through a Jamie Smith try which Kyran Knapper converted. Tez Riley and Ian Stanley added tries before the hour and further tries in the final quarter by Stanley, Knapper – who kicked four goals – and Tom Chisnall saw the St Helens outfit home. Moor seek their first win when they host York Acorn on Saturday.